Kil'Groth Item Builds Guide for Arena of Valor (AoV). Each build is geared toward a different play style, so choose one that fits your personal preference. These items are necessary in order to play Kil’Groth optimally. Only diverge from a core item if you are a very experienced player and/or you have a very good reason for doing so. Scorching Wind Scorching Wind is the go-to jungle item for Kil’Groth as his entire kit revolves around quick normal attacks. The insane attack speed that it provides allows Kil’groth to heal faster both with the item’s life steal and with Enraged Spear. In addition, Kil’groth will be doing a lot of both physical and magic damage, making it difficult for the opposing team to counter-build. The item is so good on the sea beast, it should regularly be taken in lane as well just to not miss out on any of its benefits. 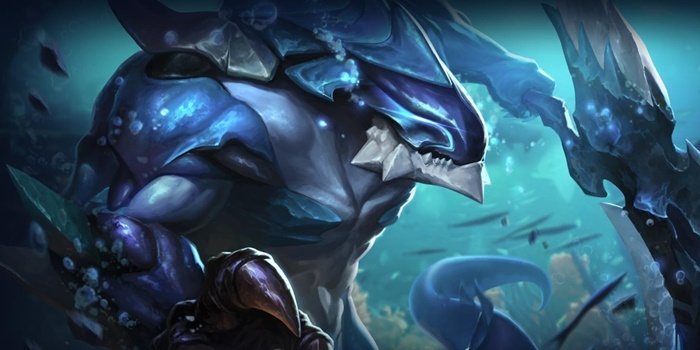 Fafnir’s Talon Meshing perfectly with Kil’groth’s attack speed focused kit, Fafnir’s Talon will give the aquatic warrior damage in spades. The health based damage it offers mixed with Kil’groth’s other on-hit effects will allow him to rip down tough enemies with ease. Hercules’ Madness Hercules’ Madness is a nice fusion item, offering both offensive and defensive stats. In addition, it gives the berserker a bit of forgiveness when taking damage in fights through its passive. The shield and offensive bonus that Kil’groth will enjoy after knocked down in health will make him terrifyingly lethal. This time can be used to heal up with Enraged Spear, allowing him to climb back up to safer HP ranges. Hyoga’s Edge While purely defensive in terms of stats, Hyoga’s Edge is invaluable to Kil’groth due to its unique passive. The slow it applies to enemies and speed boost it offers the wielder will allow Kil’groth to stick close to his enemies as he unleashes his fury. Without any control abilities available to him, he needs some way of preventing his opponents from escaping when he dives onto them. Mail of Pain Mail of Pain is a great way to punish marksmen and warriors who try to attack you. It offers a number of rather beneficial stats as well, Kil’groth able to stay up longer through its health and armor. Rankbreaker Rankbreaker gives Kil’Groth the ability to pierce through enemy defenses via its armor pierce. The movement speed it provides is a great way to get between lanes or move to fights, making the warrior an even stronger split-pusher. Soulreaver When looking to buff up raw attack damage instead of attack speed, take Soulreaver over Scorching Wind. While lacking a flashy passive effect, Soulreaver can provide its wielder with an impressive amount of attack damage. The cooldown reduction will allow Kil’groth to use his abilities much more frequently as well. Gaia’s Standard Gaia’s Stanard is an excellent choice when needing protection from magic damage. The movement speed it offers will additionally help Kil’groth stick to his target and the health regeneration will allow him additional sustain to go with his lifesteal. Medallion of Troy Another great way to stave off magic damage, Medallion of Troy is a more purely defensive item than Gaia’s Standard. The medallion offers more robust defensive stats and a damage blocking shield, thereby allowing Kil’groth to more safely charge into a fight’s back lines. Gilded Greaves Though Kil’groth can shake off disables with his ultimate, Gilded Greaves helps him recover from control effects when his ultimate is on cooldown. A solid pick on practically everyone, Gilded Greaves can serve Kil’groth well. As Gilded Greaves is a good choice when dealing with magic heavy teams, Sonic Boots is your go to when dealing with physical teams. The armor it provides and damage reduction are great when rushing enemy marksmen or assassins. This build focuses around strengthening Kil’groth’s damage while also giving him a bit of survivability. Scorching Wind and Fafnir’s Talon give him fantastic amounts of attack speed on their own, Hercules Madness joining in when his health falls low. Hyoga’s Edge will keep him within range of his target and toughens his skin along with Mail of Pain and Hercules’ Madness. Here we take Kil’groth out of the jungle and into the top lane. We rely on Fafnir’s Talon and Scorching Wind primarily for damage here, very little attack damage or speed coming from elsewhere. The passive armor rip from Longinus ashould give him a bit of extra bite, his stream of blows dealing more damage after ramping up. On the other side of the spectrum, Medallion of Troy and Hyoga’s Edge will make Kil’groth rather hard to kill. He won’t be able to burst people down as well with this build, but he will be able to stick to and tear down enemies over time exceptionally well. Throwing caution to the wind, this build focuses almost entirely on Kil’groth’s lethality. Hyoga’s Edge and Hercules’ Madness keep him from being a complete glass cannon, however he will have a much harder time dealing with enemy fire than he would with other builds. If his enemies can survive him, that is. His attack speed and damage will be immense with these items. Towers and heroes alike will quickly fall once Kil’groth starts his terrifying onslaught. While he lacks direct defense stats here, Fafnir’s Talon and Scorching Wind will provide decent amounts of lifesteal, allowing the freaky fish guy to quickly restore any health that he loses. A more assassin-like approach; a “Hail-Mary Attempt” build. A build that completely ignores survivability and instead goes all in on offense. Kil’groth will be able to rip towers and enemies apart etremely quickly, though will have to approach carefully to avoid being burst down himself. As Kyotaro said, this works best when playing like an assassin rather than a full on warrior. Can sorching wind be replace with blitz blade? I do feel like Kil’groth can use a better talent in game, plus the 5% speed boost does give a nice bonus. just boosting up raw damage and a glimpse of endurance though, i’m basically trying to rely on raw damage an life steal for sustainability. Also, i really think after some farming, the jungle item should be replaced with Devil’s handshake since it provides ms and as and at the same time a critical strike. I still need an opinion about this build though, thanks. Also, I’m thinking of a critical-strike approach… ideas? Scorching Wind, War Boots, The Beast, Clavis Sancti,Fafnir’s Talon, Fenrir’s Tooth.